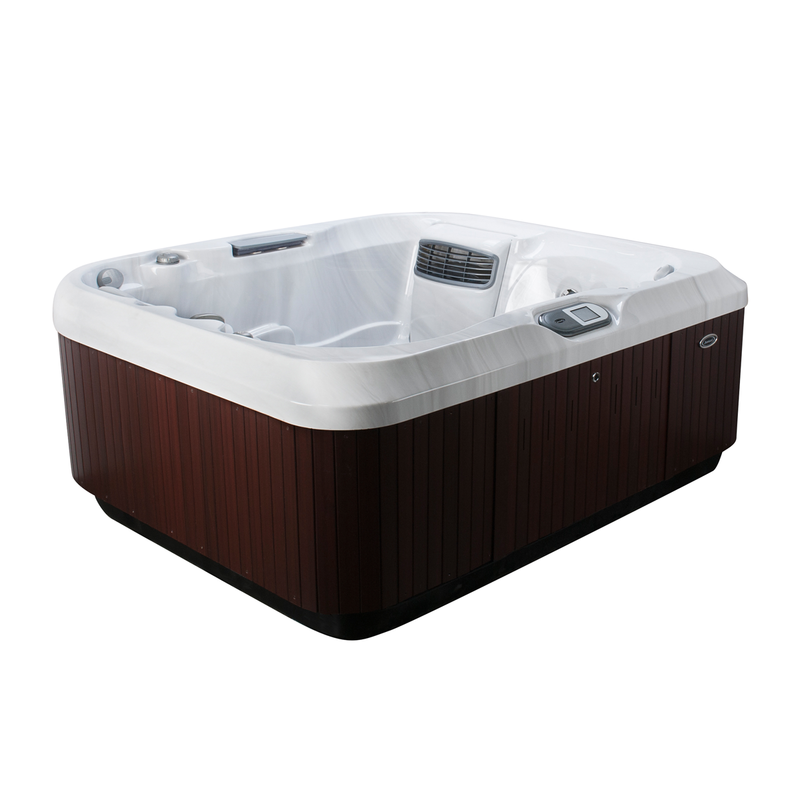 Whether you’re entering retirement or just starting your family, the J-415IP™ Hot Tub is the perfect addition to your backyard with room for two to three adults. Bonding with a loved one is one of the most rewarding benefits of hot tub ownership and the J-415IP™ provides just the place. 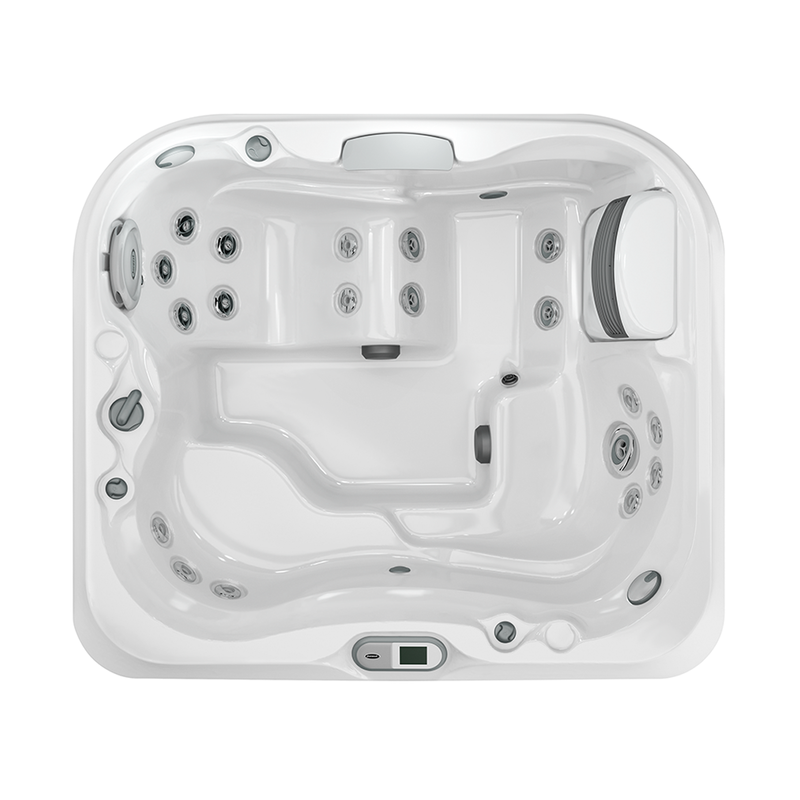 Jacuzzi® has designed this model specifically for ease of entry and exit, making it perfect for both old and young users. Designed for smaller spaces, this allows it to easily move through standard doorways for simple delivery and setup. 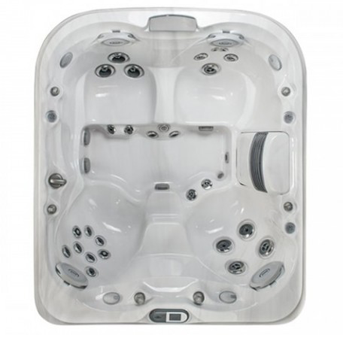 Although compact enough to fit into tight spaces on your patio, the Jacuzzi® J-415IP™ features premium PowerPro® Jets, including five RX Jets that deliver a bold massage without sacrificing strength. In addition to a quick-check status indicator light, the J-415™ satisfies your senses with an illuminated WaterColour waterfall and backlit pillow. Your hot tub choices start with color: Jacuzzi® Hot Tubs builds high-quality durable shells in popular shades, with coordinating spa cabinetry and covers. We build the spa shells using an exclusive TriFusion™ System construction process which results in a product eight times stronger than conventional hot tub shells. Filtration: 2 – 60 sq. ft.